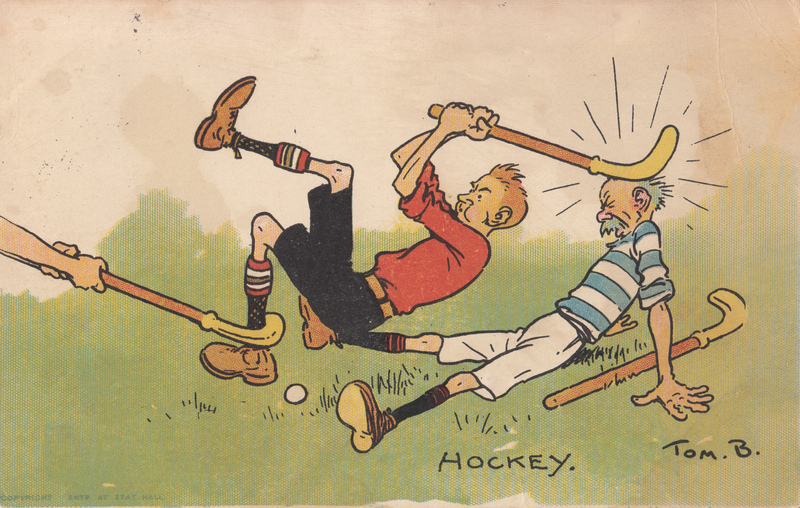 On This Day 1916: More Rink hockey at the dome! 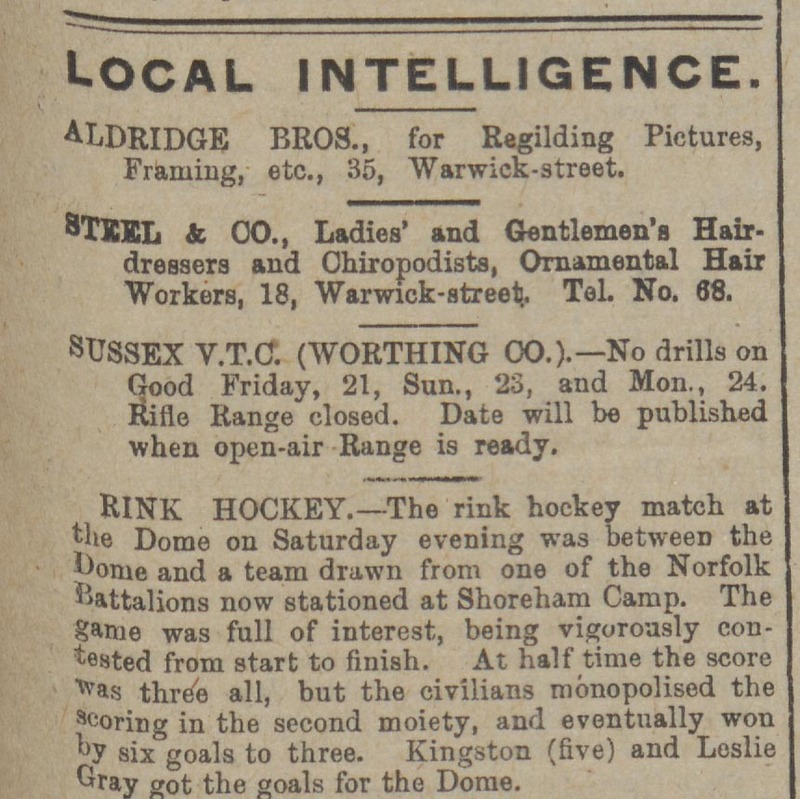 An exciting hockey match at Brighton Dome between one of the Nolfolk Battalions stationed at Shoreham camp and The Dome. It was a vigorous match with a score of 3 all by half time. But the tables were turned in the second half by an outstanding further 3 goals from the Dome civilians who won the match 6 to 3.